The Dino colour changing LED mood light is a comforting friend to help you sleep at bedtime. 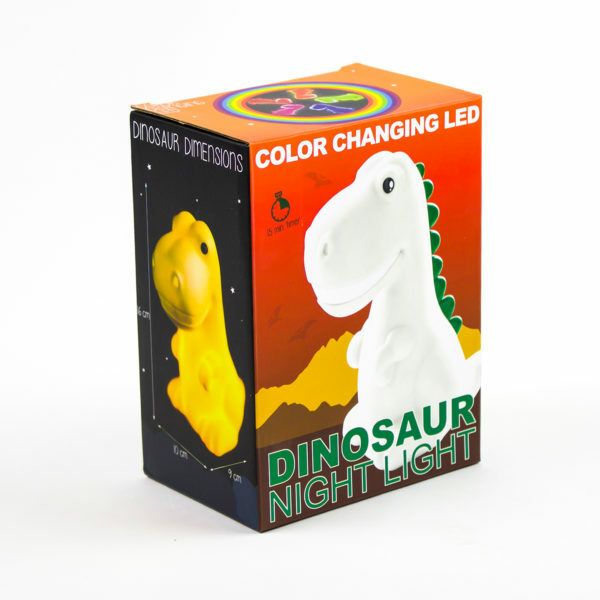 The Dinosaur is fitted with a long lasting LED that has a low power consumption. 15 Minute switch off timer to save battery life. Requires 3 x LR44 Batteries. Dimensions 15 x 12 x 8.5 cm.